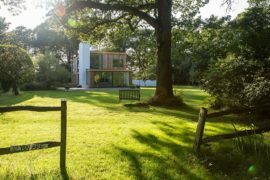 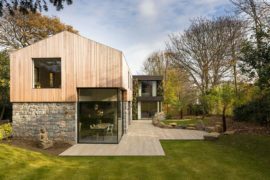 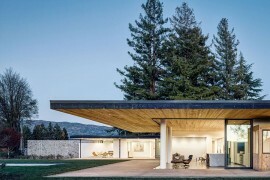 Building a family retreat around the existing trees on a lot requires both sensible and innovative design that combines nature with smart architecture. 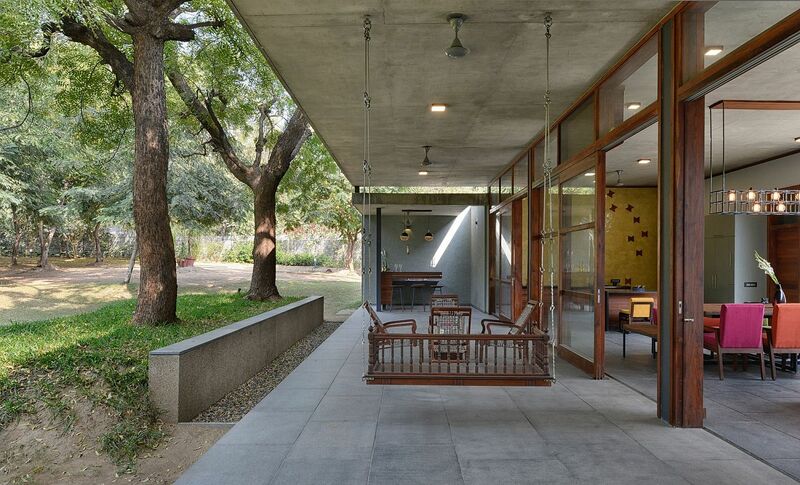 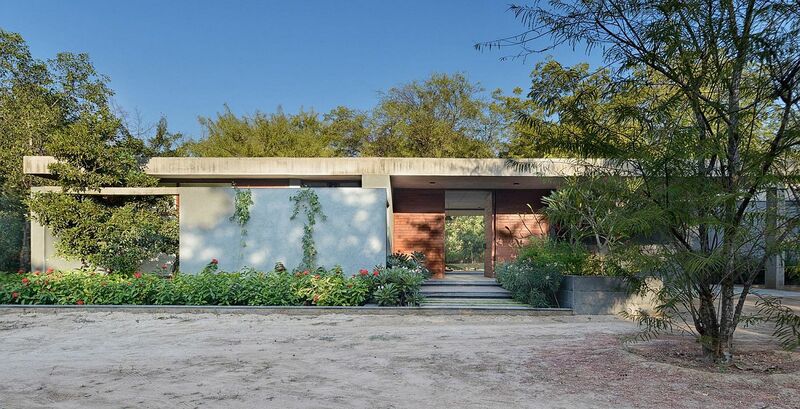 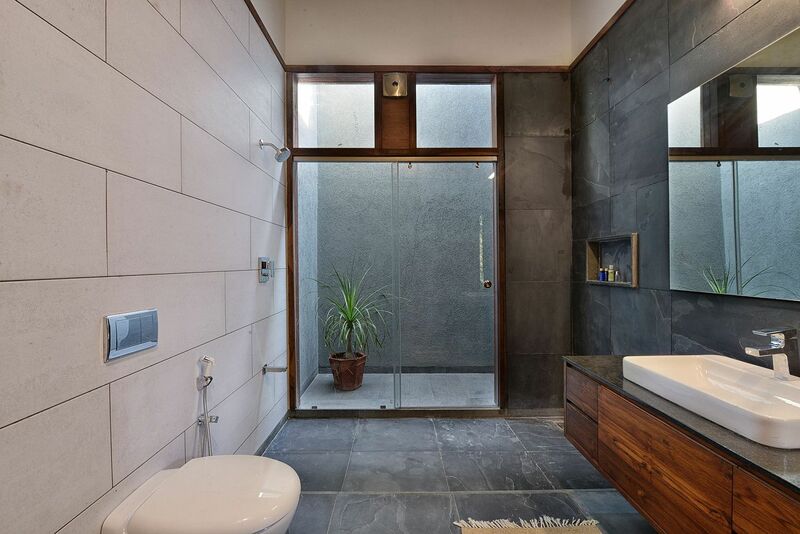 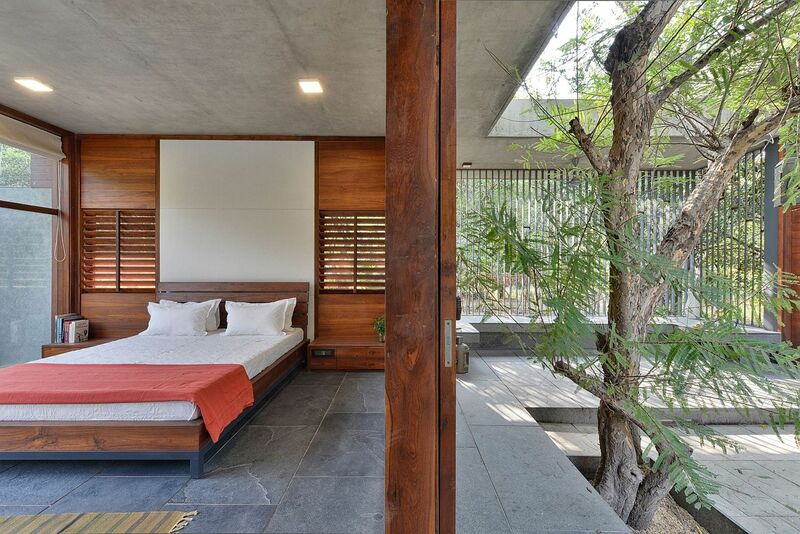 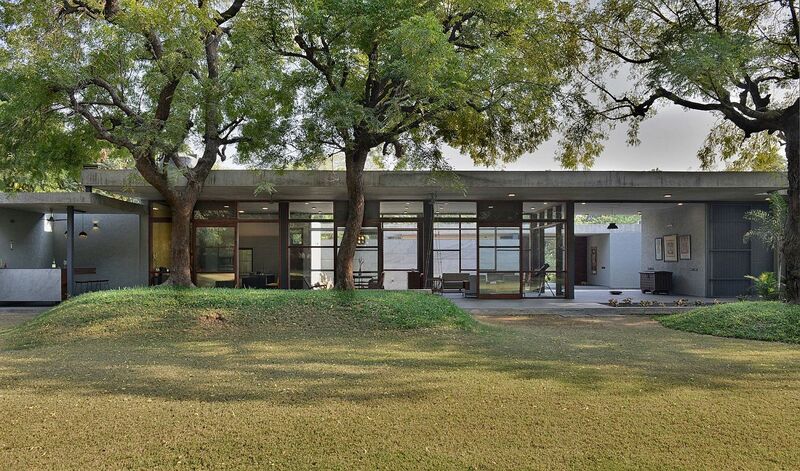 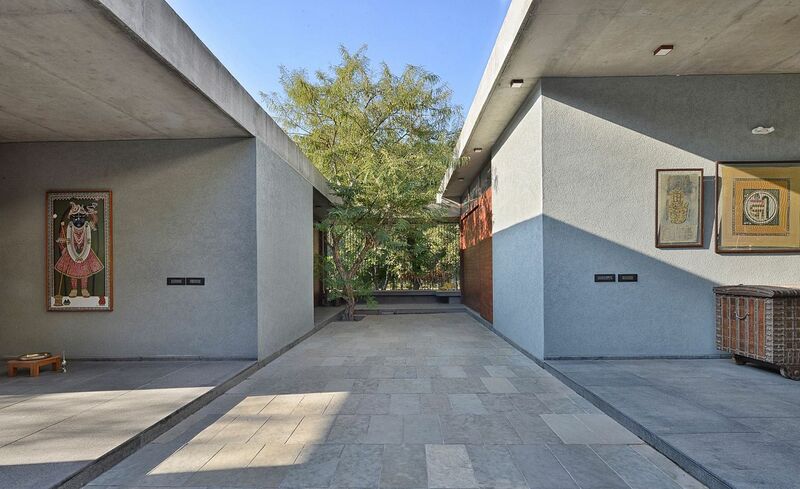 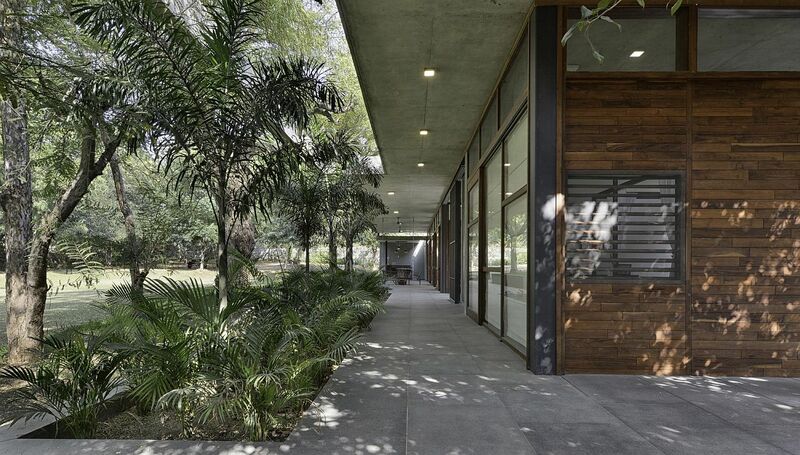 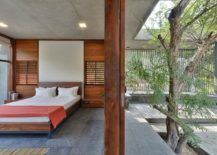 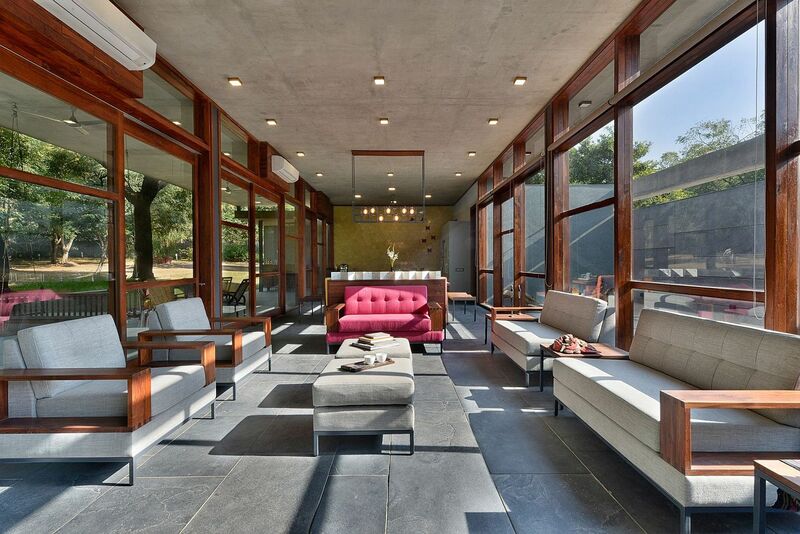 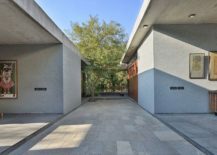 The House by the Trees was designed by MODO Designs to accomplish precisely that as the open, pavilion-style structure weaves its way through large need, amla and chikoo trees on the lot. 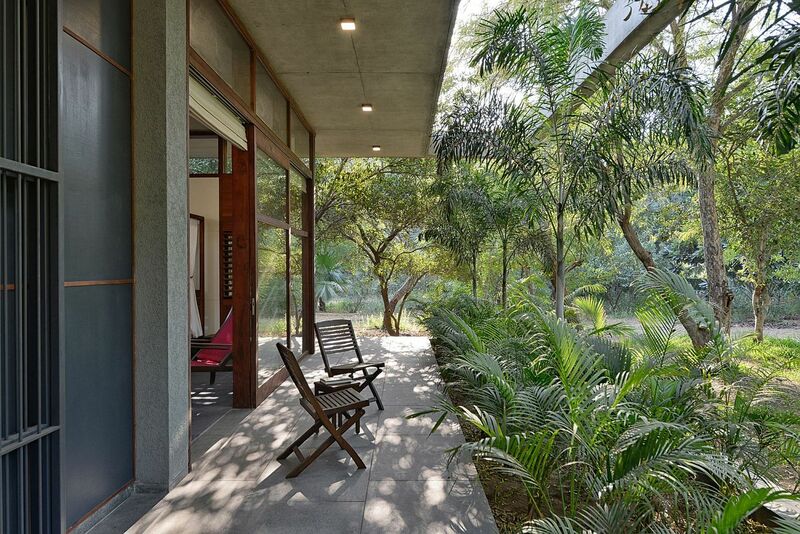 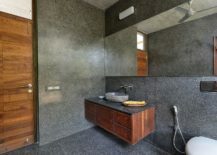 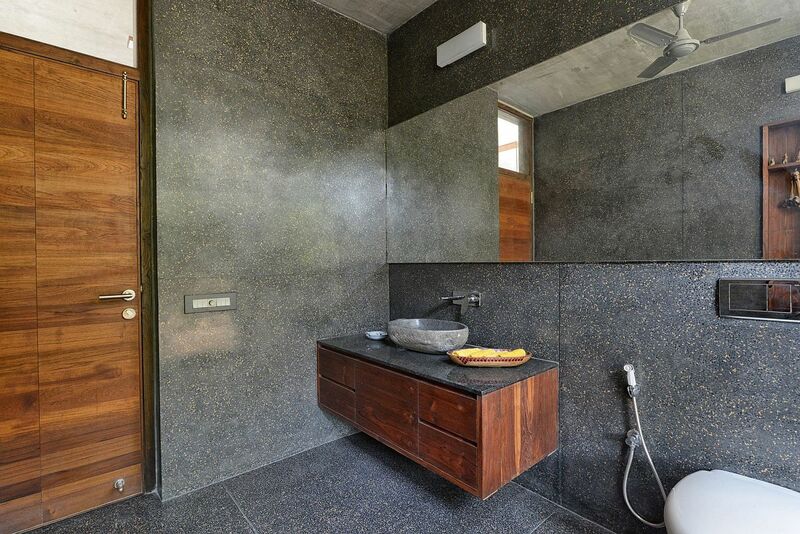 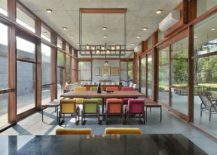 Nestled in an affluent neighborhood of Ahmedabad, Gujarat, India, the family retreat relies on the greenery around it for privacy even as the sweeping living areas, dining space and kitchen flow into the landscape outside. 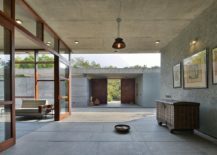 Blurring the traditional lines between the interior and the outdoors, a series of large glass walls and sliding glass doors shape the spacious living area. 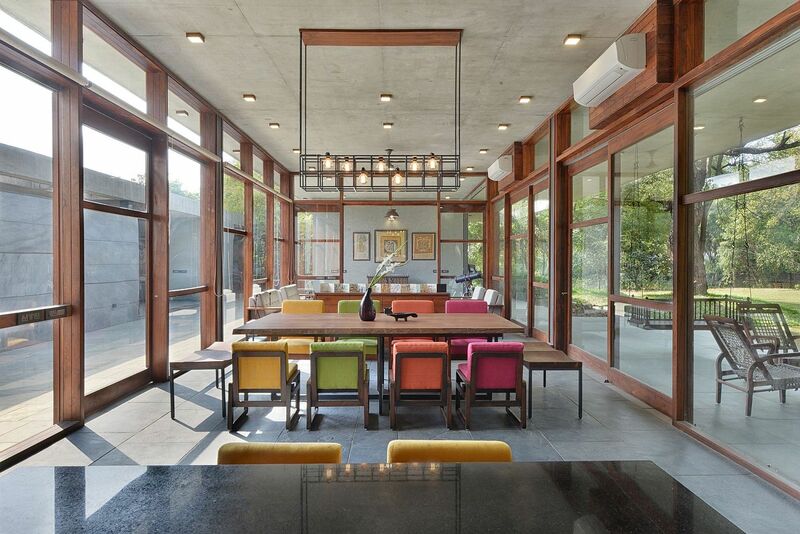 A modern kitchen sits on one side of the living space while the master bedroom is located at the other end. 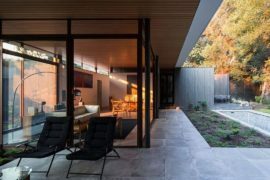 Transition between each of these spaces and the outdoor deck is seamless and fluid, allowing the homeowners to enjoy an uninhibited and cheerful living environment. 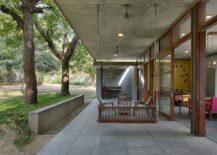 Cantilevered verandahs offer ample shade and keep out direct sunlight while vivacious dining table chairs and furniture bring color to the interior. 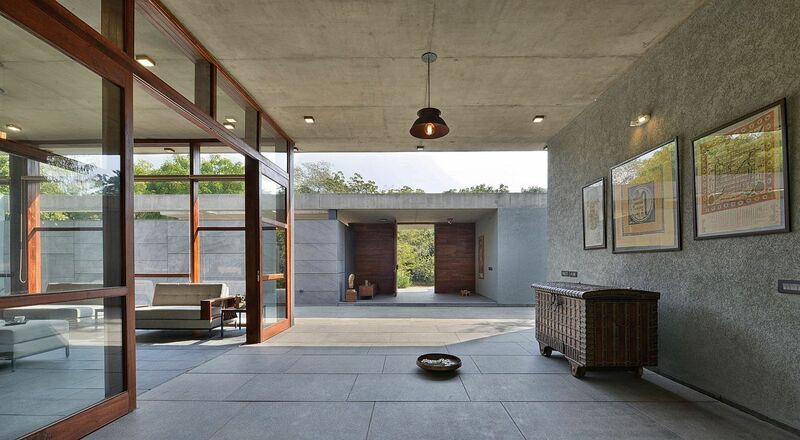 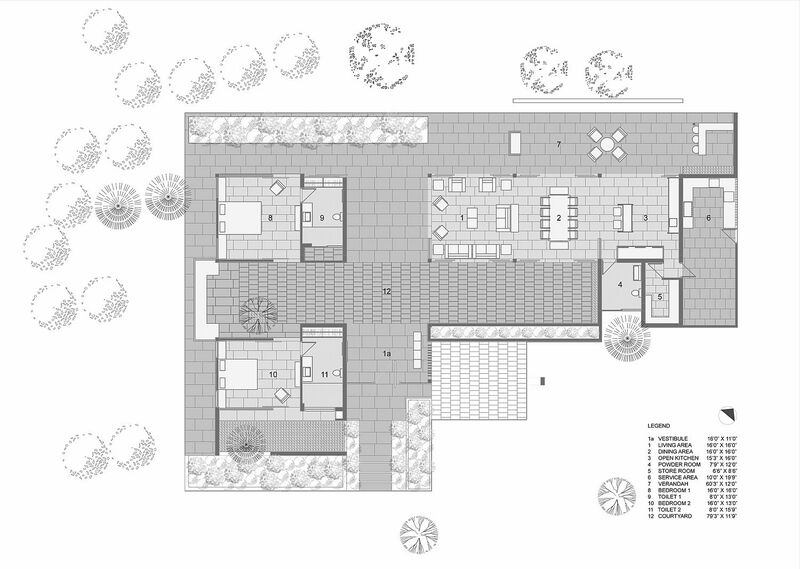 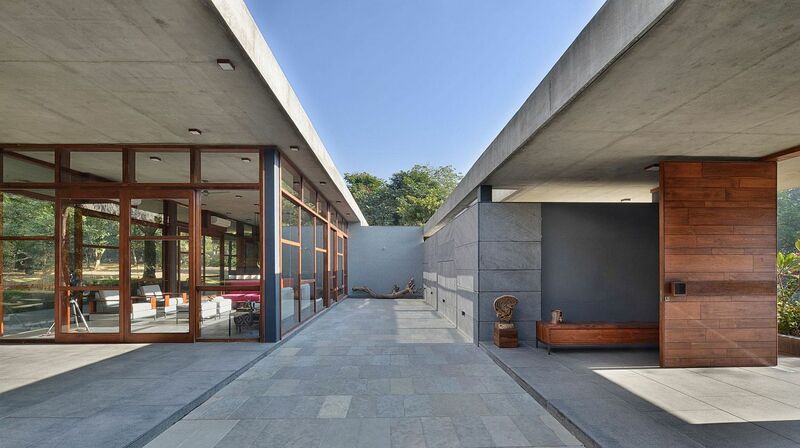 The semi open vestibule and lounge connects the house with the courtyard and garden beyond making the house a seamless place. 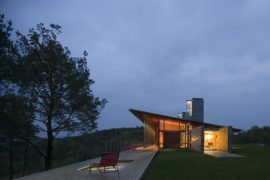 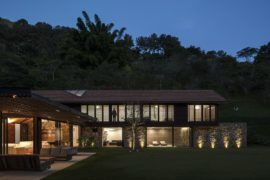 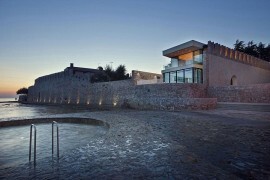 This connected area can transform in night when the sliding ms grill disconnects the outer area from the internal spaces making it an introverted secured place.